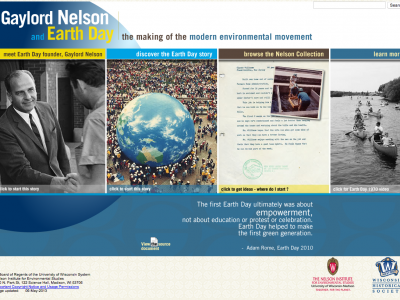 The Environmental Studies (ENVS) Program at Lewis & Clark College has supported the use of digital tools in the classroom largely through funding received by the Andrew Mellon Foundation since 2007. We document scholarship through the use of digital technologies—including student websites, field research, and Geographic Information Science (GIS)—in an open and readily accessible format. We call this type of scholarship, which is often displayed publicly on the internet, digital scholarship. 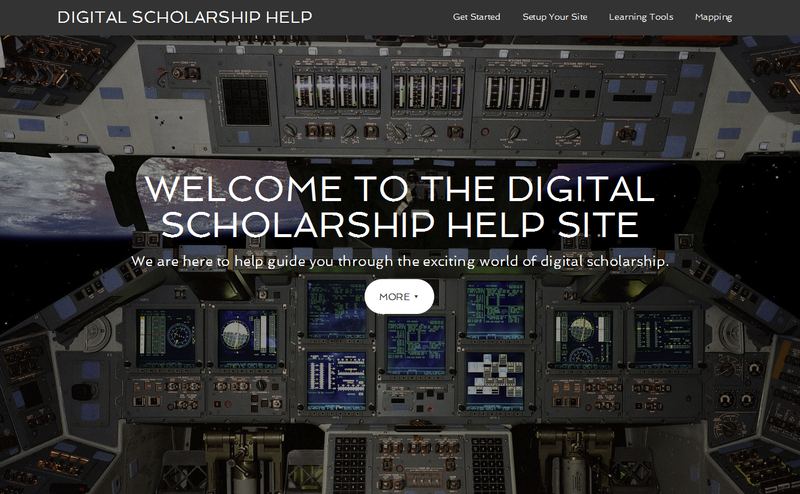 Digital scholarship includes both the products that are displayed digitally by students like websites, maps, and spatial data, and the process by which these products are made through student interaction with peers, faculty, and other resources. Benefits of digital scholarship include increased opportunities for students to interact on a scholarly level, increase research and resource sharing (less independent invention), and get more exposure to digital tools and environments that are becoming increasingly commonplace in many students’ lives after graduation (e.g., the workplace, graduate school, etc.). Our students use innovative digital technologies including Fulcrum, WordPress, Google Earth, and mobile devices, to document research processes and display products in both public and internal forums. Openly accessible digital formats are more transparent and interactive than non-digital formats and provide our students opportunities for growth and creativity. Students are instructed in using these tools in a variety of formats to accommodate different learning styles. While in-class instruction is given by our faculty, there is also an online digital scholarship Help Site that enables students to learn at their own pace and access the digital tools that work best for their needs. The Help Site has also helped maximize available training and support resources to more effectively guide students in using digital tools. All of our ENVS students are guided through creating their own student websites with WordPress, which they use to post assignments, work on theses, and showcase their scholarly life. Many students find that in-class instruction and the Help Site give them enough guidance with digital tools. However, it is important to leave time available for students that need to get one-on-one help with these technologies. This time could come from faculty members, student teachers, and/or staff administrators. In the ENVS Program, we utilize all three. Documenting research through digital scholarship is not easy, but the following examples provide insight into the opportunities and struggles presented by digital mediums. A recent 2015 graduate, Colin Carver—along with all of his ENVS peers—used WordPress to publish a senior capstone project showcasing his academic work done in ENVS courses: https://ds.lclark.edu/colincarver/senior-capstone/. Colin’s website is a small part of a large multisite (ds.lclark.edu) that the ENVS Program administers to promote digital scholarship and provide ENVS students with a digital place to showcase their academic endeavors. As a double major in Chemistry, Colin’s final project was concretely situated in the natural sciences studying Proton Exchange Membrane Fuel Cells. He used his public student site not only to share his final research but to break down the components of his research (methodology, resources, etc.) in a more relatable way. He documented his thoughts and decisions using progress posts, and explored some of his reasons and motivations for pursuing his research in his About pages. 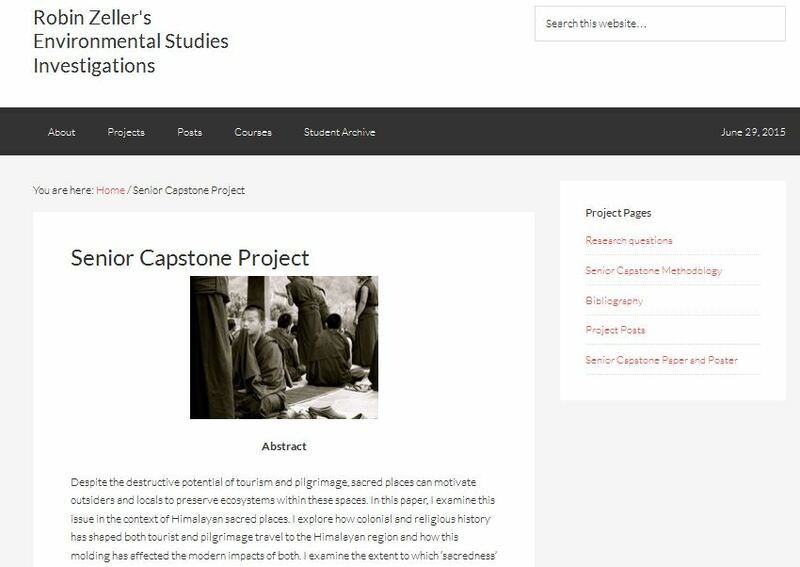 In the humanities, Robin Zeller (‘15) also crafted a student site for his final senior capstone, which focused on the idea of sacred places and how history has shaped tourist and pilgrimage travel specifically regarding Buddhism in the Himalayas: https://ds.lclark.edu/trzeller/senior-capstone-project/. While on a summer research tour in support of his senior capstone, he used his student site to post updates directly from the field as well as list his bibliography of researched sources. The digital approach is not without shortcomings; customization of student sites and regular posting may not be embraced by student participants without proper incentive. In some cases, the ability to regularly post or stream data to mobile devices may be inhibited for those working in field situations where internet is limited. While in Swaziland on an international study abroad program led by the ENVS Program, Alix Finnegan (‘14) worked extensively with an iPad Mini provided by the ENVS Program to record, map, survey, graph, and in general, document every aspect of her trip. This included a health assessment survey conducted by Prof. James Proctor, director of the ENVS Program, and some of Alix’s classmates. She also collected and documented her own research on urban migration and sense of place in Lobamba, Swaziland. To avoid issues with limited internet access, all preparation was done before the trip to make the iPad Minis as self-sustainable as possible, downloading all needed applications, data, and surveys prior to the trip. Data collected while on the trip was set up for syncing to the cloud as a backup when an internet connection was available. The iPad Minis were equipped with rugged field cases to prevent as much damage as possible. For their research, Alix and her classmates designed and utilized standardized surveys using a data application called Fulcrum, which was deployed on iPad Minis to collect data. The interviews and data collected were automatically geolocated by the devices, which enabled the team to create simple display maps in Google Earth and work with QGIS to look for any spatial patterns in the four communities they worked in. Photos were collected via Instagram and housed on Flickr, while posts about the trip and progress of the research were made on student WordPress sites (see example). 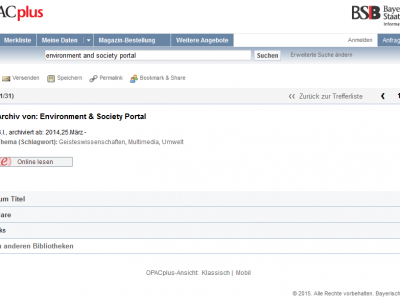 In the case of the Environmental Health Assessment, the research was published in a professional academic journal. The above are only a handful of examples evidencing digital scholarship. The ENVS Program at Lewis & Clark has worked with hundreds of students, faculty, and staff on campus to develop digital skills like web authoring, digital field scholarship, mapping, and web design. What are some of the most important things we’ve learned throughout this ongoing experience that might help others looking to cultivate digital scholarship? Preparation and training beforehand in any digital project is instrumental to the quality and success of the final product. None of the examples above would’ve come to fruition without training (through resources like the DS Help Site) and preparation (like iPad Mini formatting and data uploading). User support is necessary, and takes time. Setting aside time to help users when they encounter problems while undertaking a digital project is important. Users are much more likely to feel comfortable learning and playing with digital tools when they know there is a safety net. Helping students realize the importance and usefulness of digital tools outside of the classroom generates incentive. Some students will think that learning a new digital tool is just another hoop to jump through with no greater relevance to their lives or education. Student motivation can increase greatly by demonstrating that making a website, producing a map, or conducting field research are all useful skills in acquiring jobs after college. A digital scholarship help site created by the Lewis & Clark College Environmental Studies Program: ds.lclark.edu/help. While practicing digital scholarship may sometimes take patience, the results are well worth the time. 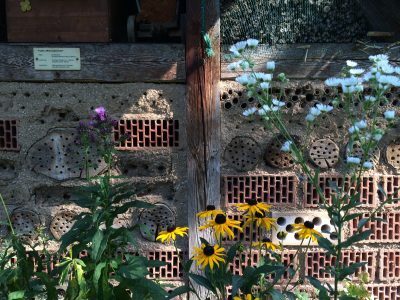 Building a digital community for the Lewis & Clark Environmental Studies Program has created more opportunities for students to interact over scholarship and for professors to engage with students about their thinking and learning processes. Digital technologies continue to proliferate, and the ability to embrace and integrate new digital tools while minimizing frustration creates an asset for the future that benefits students, staff, and faculty. Taking that one step further and integrating digital tools into pedagogy creates a learning environment that is self-aware and ready to adapt to an ever-changing technological landscape. By integrating new technologies, the ENVS Program continues to offer practical real-world applications in its pedagogy that will keep our curriculum relevant to students’ future careers. Miranda Wood and Nate Stoll have worked as part-time staff for the Environmental Studies program at Lewis & Clark College since 2013 and 2014, respectively. Nate Stoll manages The Andrew W. Mellon Foundation grant to the Environmental Studies program while Miranda Wood serves as program coordinator.